Can write firmware by fastboot with locked bootloader and locked FRP! 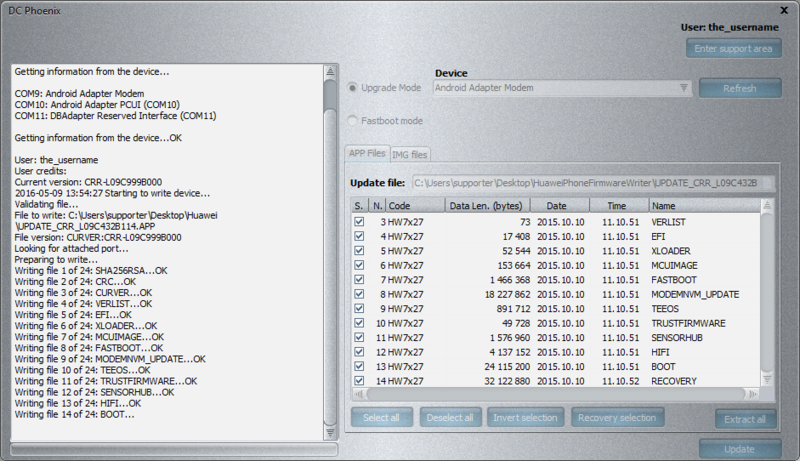 Huawei Firmware UPDATE.APP file direct writing by fastboot. Full erase and write full factory images by fastboot (factory images in DC Unlocker format DGTKS). Writing any rom by fastboot without signature and compatiblity checking! Older Huawei Phones like Ascend Y550, G620 and etc .. Extract UPDATE.APP files (free without account). Create fastboot download script from UPDATE.APP file (free without account). Create config file for flashing with DC Phoenix. Repair guides, videos, files can be found on DC Unlocker web page. Free service just for few days only, dont miss it, repair your bricked phone and post here results.